Amazon Product Listing Software designed for Amazon Sellers who demand the BEST Amazon Bulk Listing Tool there is. with automated bulk listing software for Amazon. List and manage hundreds of thousands of SKUs on all your Amazon marketplace sites. Selling on Amazon requires you to list and update your inventory fast, that's why you need Seller Dynamics with its Amazon product listing tools. Do I need an Amazon listing tool? If you are serious about selling on Amazon then Amazon Listing software is a must have item. Regardless of how many products you are selling online or how many country Amazon sites you are selling on, Seller Dynamics makes life easier and sales faster. Our Amazon listing software system bulk uploads your entire inventory onto the worlds largest marketplaces. By automating your processes with our Amazon product listing tool you'll find you can extend the number of lines that you can offer. We don't limit how many SKU's you can list, we just want you to sell more and sell more profitably. The Amazon catalogue is extensive, but sometimes you might need to add new previously uncatalogued items. In situations like that we can lend a hand if required. Call us and we can figure out how best to help. But what if your Amazon Listings are poor quality? Our Amazon Listing Tool will allow you to manage and control hundreds of thousands of SKUs - but what if your Amazon Listings are poor quality and you are not selling as much as you should be? Having lots of listings that don't sell isn't much use! In cases like those our Amazon Listing Optimisation Consultants are there to help. We work with many retailers to improve their Amazon Listings in order that their listings can be found on Amazon, and in order that they can generate much better sales. Get in touch today if you are suffering from poor Amazon Sales. We'll have a look to see what we can do to improve your sales and reduce your anxiety. Sometimes you need more than Amazon Listing Software. Sometimes you need a friendly expert to help. What should I be looking for in the best Amazon Listing software? It has to be dependable and flexible! You have to be confident that it will work day in day out. Simple to use is a given; but you also expect the best in Amazon Product Listing Software to not only list, but to also reprice, manage orders, and adjust stock levels. That's why Amazon Product Listing Software has to be a part of a wider, fully featured, Marketplace Management Software System like Seller Dynamics. Are my Amazon sales likely to go up? The short answer is yes! Because you can manage many more product listings on Amazon, due to the streamlined nature of Amazon Bulk Listing Software, you'll be able to manage many more items. Hundreds of thousands of product listings is perfectly achieveable for many Amazon Sellers who bulk list. And with many more listings your sales are bound to rise. Will I need a separate bulk listing tool if I list on other marketplaces such as eBay? No, the best bulk listing tools, such as Seller Dynamics, are designed to managed a range of marketplaces, websites and other channels. Should I expect an Amazon Listing Tool to list on all the Amazon Marketplaces there are? Of course. Each time Amazon open another marketplace for third party Amazon Sellers like you, you can expect the Best Bulk Amazon Product Listing Tools to support it. What data do I need to have before I can use Amazon Product Listing Software? Ideally you'll have a good handle on your inventory, prices and availability. The Amazon ASIN is very important as it ensures you can list against the correct Amazon item in the Amazon Catalogue. But don't worry, we have a range of free and paid for consultancy services that can help if you don't have a perfect data set. How do I know if my Amazon Bulk listing of products has been successful? You'll find that we report back to you if a listing failed to get accepted; maybe it's not in the Amazon Catalogue, or maybe there was an error in the data you supplied. Will the stock levels be updated once I have uploaded to Amazon with your Amazon Listing Tool? Yes, because we are more than just a great Amazon Listing Tool we'll also keep your stock levels bang up to date, even when something sells on a non Amazon site. What happens when I run out of stock? Seller Dynamics adjusts your stock continuously, so when you reach zero, or a non zero trip level that you can set, we make sure the stock level is set to 0. What is the difference between Amazon Listing Software and Amazon Selling Software? Amazon Listing Software is simply an element within a much wider solution, sometimes that is referred to as Amazon Selling Software, or Marketplace Management Software. Do I need to be authorised to list products on Amazon? You need to have a Seller Account with Amazon, and for certain categories, referred to as restricted categories, you'll need to be approved a little bit more. What if I want to stop selling an item on Amazon? You simply tell the software that it is no longer available for that marketplace. How do I find out what produts to list on Amazon? There are a range of research tools, even Amazon show you the best selling items per category. However, you might want to look at Terapeak and at JungleScout to carry out product research and find the ideal niche. Barcode Robot also lets you see where an item is selling and how much it is selling for. What support do you offer if I run into problems bulk listing on Amazon? We have an Account management team that are on hand to help, by phone and by email. And if you need an extra pair of hands to prepare an Amazon stock list then we can offer consultancy as well. Does your support team respond quickly? We will respond within an hour - if it is a working day. Do you have defined resolution schedules and turnaround times with your Amazon Bulk Listing tool? We'll fix things (or give you a planned resolution date) within just 2 working days. Is there a way to get trained on the use of your Amazon Listing Software? You'll be pleased to learn that we give online training and support via screen sharing techniques on a one to one basis. Do you provide any consultancy services if I need help to list products on Amazon? Yes, sometimes we find that you don't have enough time as you are still running your business. If that is the case we can figure out how to offer the right sort of help for the required time. What if I get bad feedback on an Amazon Product Listing - can you help? Yes, but it's quite easy to manage situations like that. But we're here if you need us. Are there any additional onboarding or support packages available? You get Free Standard On Boarding when you sign up. For huge inventory lists or for complex situations you can talk to us about Premium On Boarding which is chargeable. What if I don't have barcodes or ASINs, can I still use Amazon bulk listing software? Yes, you can. Talk to us and we can explain when that is possible. Does each listing that I upload to Amazon have its own price or set of price rules? Normally you group products into groups that have similar pricing properties, you then give that group a Pricing Profile. That makes pricing your items really easy. How quickly can I upload my listings to Amazon? You're really only limited by the speed of Amazon - so pretty fast. Do you have any video tutorials on how to use your Amazon Product Listing Software? There is a range of online video and guides to help. What sort of computer or system will I need? Since Seller Dynamics is cloud based all you need is a fairly recent PC or MAC and a reliable internet connection. What other product bulk listing do you do? We manage Amazon, eBay, Fnac, SKU Cloud, Flubit, Cdiscount; and also BigCommerce, WooCommerce, Shopify and Magento. Can your Amazon Listing tool get updated from other systems? Yes, we accept data feeds and also have an API. A small charge may be applied to get you set up. How much does your Amazon Listing Tool cost? Best to see our Pricing Page. Can I try your Amazon Listing software for free? We'd be delighted to give you a free trial. Sign up via the Pricing Page. Does your listing software also connect with websites? We are fully integrated with Magento and Shopify. How long will it take to set your Amazon listing tool up? The on-boarding team are here to get you set up fast. If your data is good then you'll be up and running in no time. How can I get product lists into and out of your Amazon Listing tool, I don't want locked into a software system? 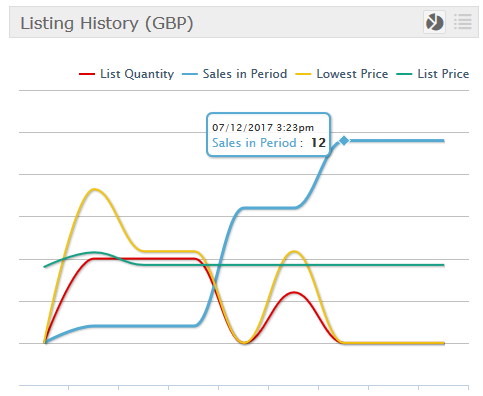 We import data in and out of Seller Dynamics with CSV files. That means you can get your data in and out with ease - no lock-ins, no sneaky tricks.